GENERATIONS AGO 15 MINUTES OF FAME COULD LAST A LIFETIME. FLASH FORWARD AND THAT 15 MINUTES LASTS ABOUT 15 SECONDS. THESE TIGHTLY PACKAGED PRODUCT ARE ALMOST INSTANTLY EVISCERATED IN TODAYS WORLD, WHEN AT THE FIRST SHOW, THE HUNDREDS OF IPHONES RECORDING YOUR PERFORMANCE IN WOBBLY HD, & EVEN SHODDIER SOUND DESTROY ANY ILLUSION OF MYSTIQUE HERE ARE TWO CURRENT EXAMPLES OF GIRLS “ON FIRE“, RAKING UP MAGAZINE COVERS, AND RIDING A WAVE OF INTERNET NOTORIETY ARE KREAYSHAWN AND GRIMES. (RESPECTIVELY) WHO HAVE TEAMED UP TO BECOME L$D (LESBIAN, SATANIC, DRUGLORDS) CHARMING! ADMITTING TO MAKING LOTS OF CRAPPY POP SONGS IS ONE WAY OF KEEPING IT REAL, & BEING YOUNG AND HAVING FUN WILL NEVER GO OUT OF STYLE. “WE DID THIS SONG IN 10 MINUTES”. YES, & IT SHOWS THIS VIDEO IS BEST ENJOYED ON MUTE, PREFERABLY WITH CLOSED EYES, BUT WE LOVE THE NOD TO MACARENA, IT SAYS EVERYTHING. 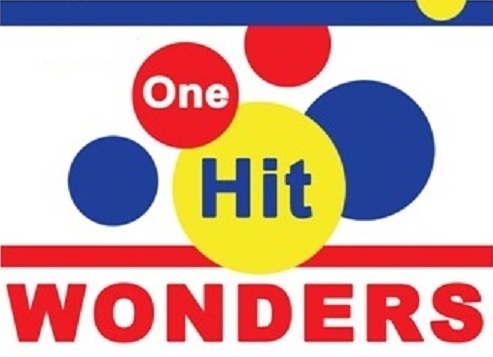 ONE HIT WONDERS ARE FASCINATING ANOMALIES. ELUSIVE ELEMENTS, THE RIGHT LOOK, RIGHT SOUND, AT THE RIGHT TIME, WHICH IS ULTIMATELY UNREPRODUCIBLE. IS IT KISMET OR A CURSE?